Find all Zortrax spare parts from the 3D printer manufacturer here. Spare parts are original and supplied by the manufacturer. Certified as compliant, Zortrax parts are categorised by model. All the advice for your Zortrax spare parts purchases with our guides and tips. To purchase your pieces completely securely, choose original parts. 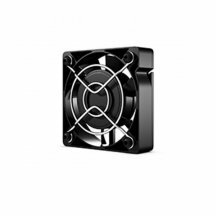 Zortrax fan, spare part from manufacturer, this fan is compatible with M200 and M300 printers.